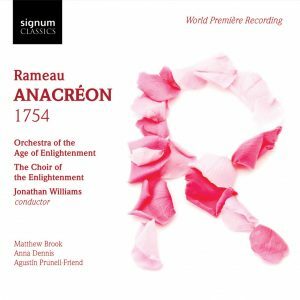 A CD of Anacréon for Signum Classics, the first studio recording of a Rameau opera in the UK for 30 years. Thank you Simon Heighes for picking Anacréon as one of your top recordings of 2015 – the OAE and I are delighted! Listen to Simon in conversation with Radio 3’s Andrew MacGregor here.